This topic contains 4 replies, has 1 voice, and was last updated by Joseph Keating 5 years ago. I recommend checking freight cost with LTL Uship on there website. Or give me a call or send me the zip and I can get it for you instantly. Pallet should be 350lbs and 60″ long 48″ wide and 36″ tall to be safe. Please call if you are interested so I can answer any questions and go over shipping. Willing to ship at buyer expense, I will package and drop at terminal free of charge and help in anyway I can with shipping. Freight should be from $250-$450 depending on location. 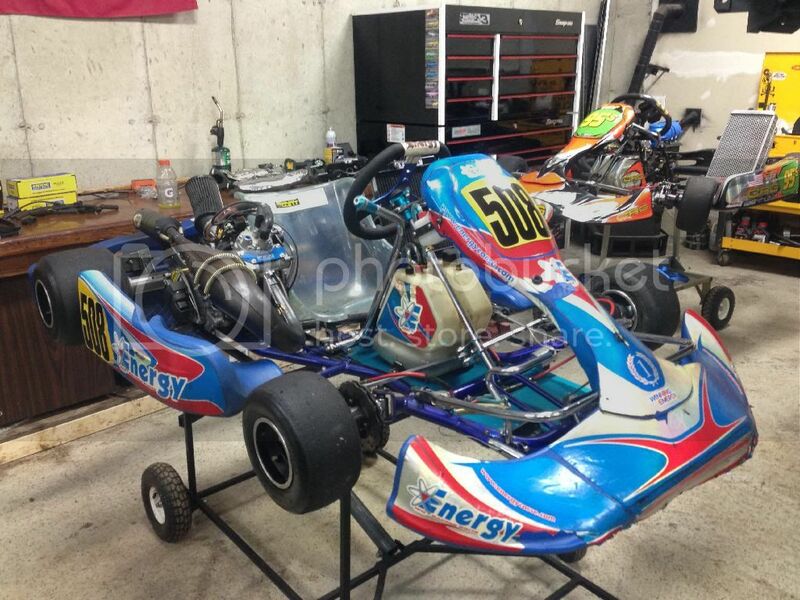 Up for sale is a 2010 Energy Kinetic shifter kart chassis with VEN-05 CRG steel brakes and New Age 2 body work. 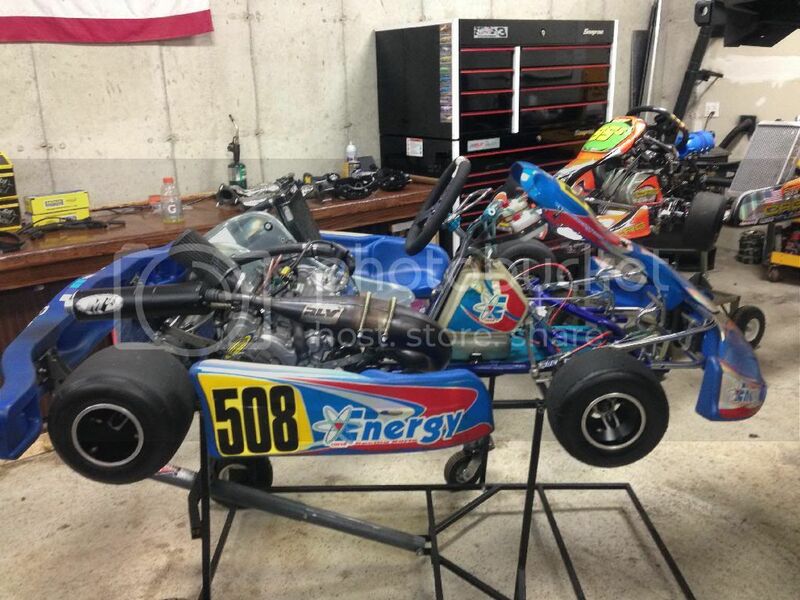 The shifter kart has a CRE mod cr125 honda 6-spd engine with 42hp. 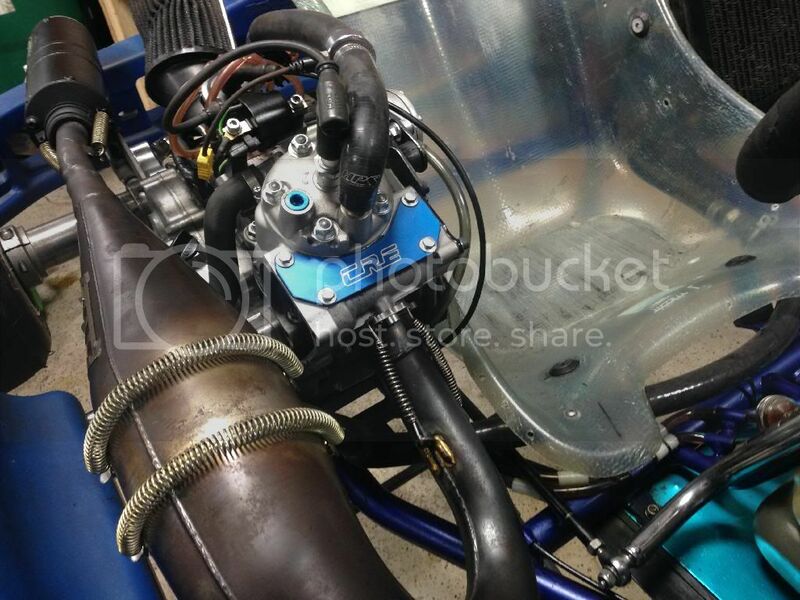 It has a RS125 high compression piston, o-ring head, long head stud with spacer, full block girdle, and extensive jug and case porting. Engine also has swedetech straight intake with carbon reeds and the kick start hump has been removed from the cases to allow straight intake. Cylinder head is also flipped and uses single water outlet and is switched to pull the water over the exhaust outlet to better cool the engine. 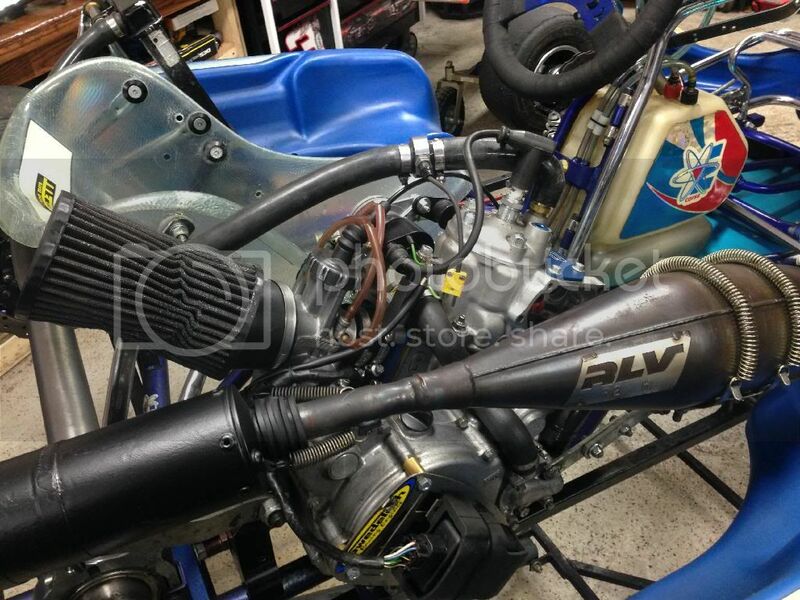 This engine is a monster makes 42hp and will run head to head with any worked over ICC 125cc kart. Engine has 3 hours of run time sense it’s last rebuild. 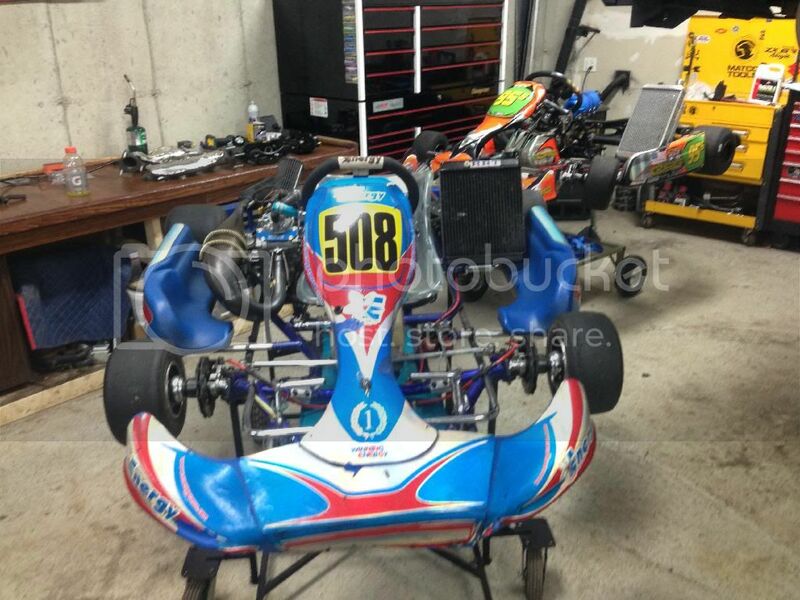 Kart is ready to run. 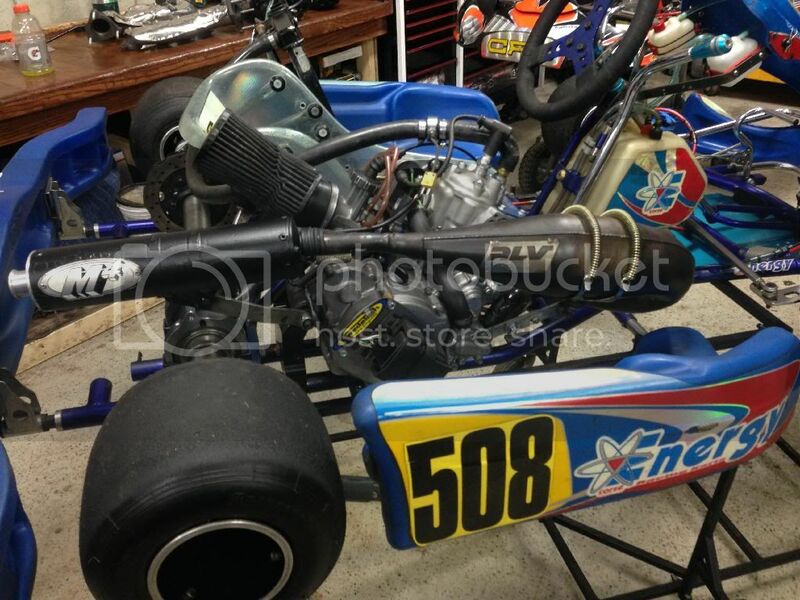 I have over $7000 into this kart and lots of receipts from shark shifter. Chassis is in great shape besides some splits in the bottom of the front bumper. The bottom of the chassis tubes are in great shape. Also included is a sniper front end alignment kit. It is not currently installed on the chassis. 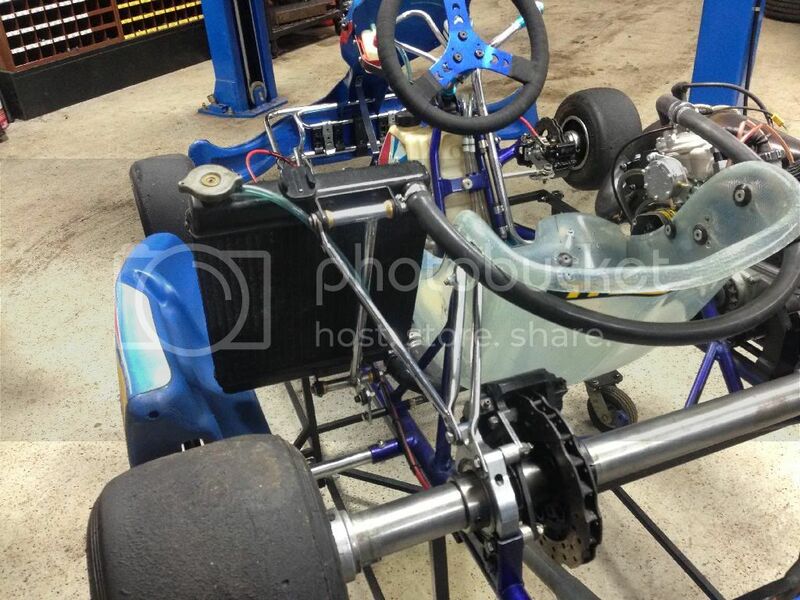 The factory 8 hole adjustment setup is on the chassis. But the sniper setup is included which gives you the ability to adjust caster and chamber independently of each other. 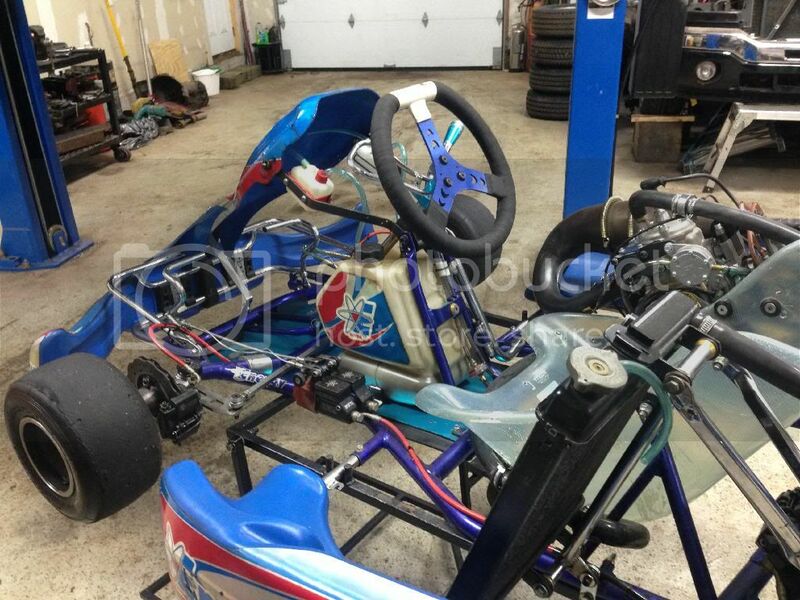 Not pictured but a chain is included and kart is ready to run.